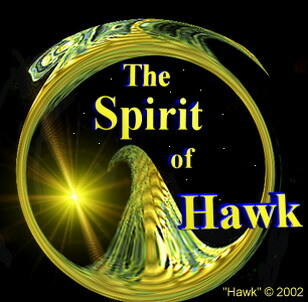 Hawk will take you to places far beyond the Stars, beyond Time and Space, idyllic places full of color, wonder and beauty that can only exist in your imagination. A sanctuary where one can reflect on all things possible and impossible. All of the Art you see on my pages is digitally created, these are not scanned in paintings or photographs. All of my work is created in the 'Moment'... that is to say, I have no preconceived idea of what I am going to create when I start out... it flows from the Mind, Heart and Soul and as the 'Moment' changes so does the Image. I use many programs, and with few exceptions these images go through numerous processes before completion. Best viewed in 16 million colors. My Studio will be separated into a number of Galleries with thumbnails of each picture which need to be clicked on to view full size.. Choose the link which is mostly in tune with your own personal tastes. Copyright by "Hawk" ©1996-2010. All rights reserved. All midi files copyright their respective owners.